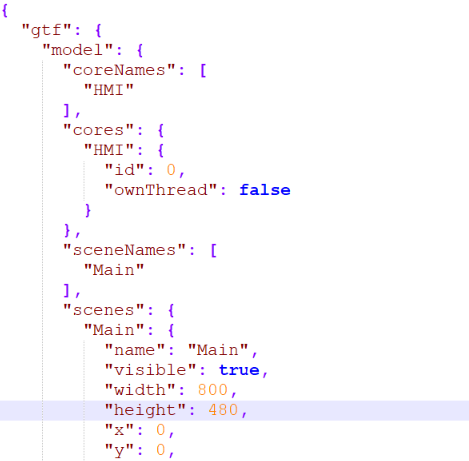 Part II of this blog post introduces further EB GUIDE Script functions for reading items from the JSON configuration, versioning, and focus management. Read part I here. With EB GUIDE 6.5 we added a very powerful JSON configuration that could also be used in custom EB GUIDE TF extensions and applications created by you, the user. With EB GUIDE 6.7 it is now also possible to retrieve the configuration items in EB GUIDE Script. This opens up a lot of possibilities. Managing the current focused element in a complex HMI can be a quite tedious task. With our focus features and the focus policies it is already a lot easier. Most use cases can be solved out of the box without implementing additional logic in scripts. Nonetheless, we decided to give you another powerful tool to enable you to set the current focused element in a very convenient way. This should help you in keeping your focus management cleaner and enable you to easily model every focus logic of which we can think. For a complete reference of all available built-in script functions and their parameters see the user documentation. An example to create own custom script functions is provided in the SDK examples. As always, we are constantly looking for ways to improve the tool. Download the latest version of the tool, try it out, and send us your feedback. Also, don’t forget to visit our Resources section to download examples, review tutorials, and read user documentation. As always, get in touch with us if you have questions or feedback.